Shop pages are e-commerce content and use commission-based affiliate links in product sources. Beach weddings are some of our favorite weddings to style (and to attend!) 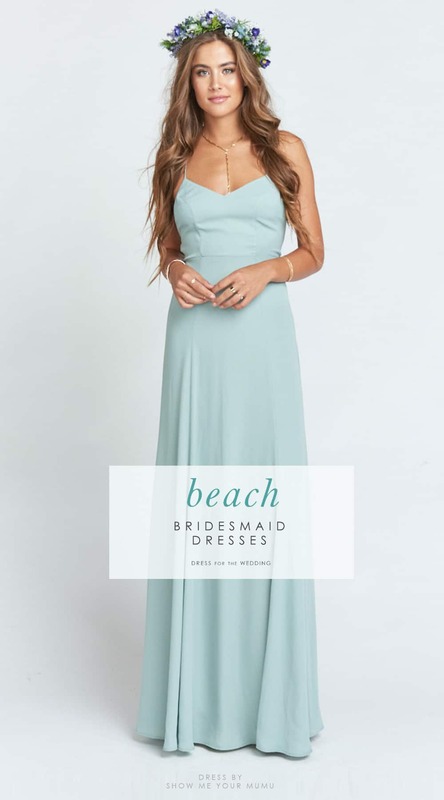 If you are planning a beach-side wedding, you’ll want to have beautifully beach bridesmaid dresses for your wedding party! That said, there are many different types of beach weddings from beach chic, to boho, to preppy nautical styles! 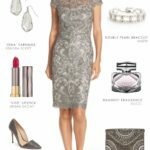 No matter which type of wedding you’re planning, we’ve tried to provide a helpful guide for where to get the look! 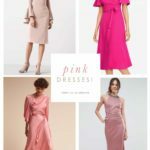 Where to shop for bridesmaid dresses for a beach wedding will depend on the location, your wedding theme or color scheme, and the wedding style. We’ll review a few of our favorite types of beach weddings, and where to find the bridesmaid style ideas to match! A Boho beach wedding style brings out all the best points of a Beach Wedding, mixed with the laid-back and mystical vibe of a bohemian style. Think long flowy dresses, flower crowns or beachy waves and braids, and an easy style all around. Godshaw Goddess Gown in Rich Navy Crisp from Show Me Your Mumu. Show Me Your Mumu bridesmaid dresses for this beach boho look (or any wedding)! These boho styles come in a variety of solid colors and made-for-the-beach prints and colors that are sure to suit any color scheme! 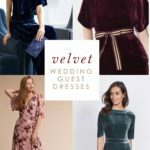 BHLDN – is another place to find great beachy bridesmaid dresses. Their new line of Yumi Kim dresses is perfectly suited to a boho beach wedding! 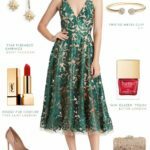 Etsy – may also have some dresses you’ll love! We like the styles and selections at Coralie Beatrix, and the shop has great reviews! 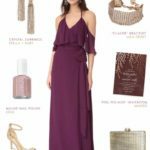 Jenny Yoo – Jenny Yoo bridesmaid dresses have a casual elegance that make them the perfect bridesmaid dress for a everything from a black tie wedding to a beach side ceremony. These breezy modern chiffon styles come in the prettiest colors each season, and always look nice against a sea-side setting! 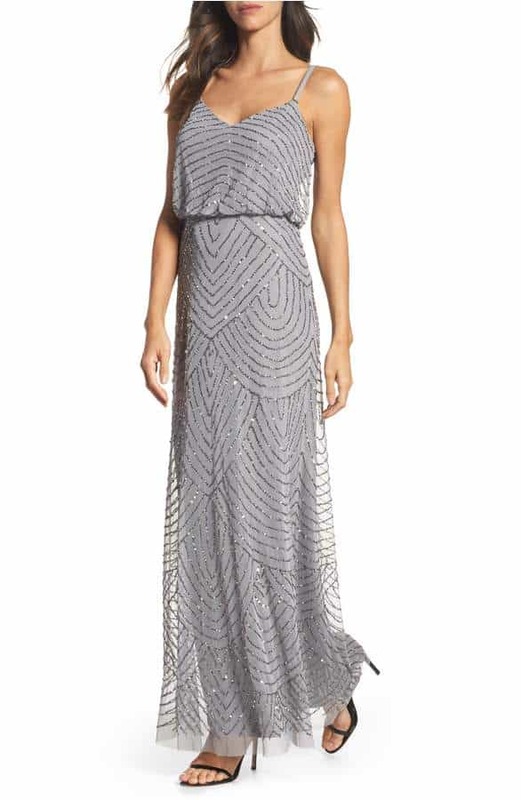 Lulus – has great price points and on-trend maxi dresses. Try the selection at Nordstrom. For this type of wedding, you want your bridal party to perhaps resemble your own personal shimmering mermaids! This beach chic wedding might feature sequined dresses or tulle skirts or some sophisticated chiffon gowns and updos. 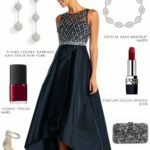 To get this look, try beaded blouson gowns from Adrianna Papell, These sequin and tulle dresses from BHLDN, or the beach chic styles embodied by Nouvelle Amsale, or chiffon or sequin gowns by Jenny Yoo, or sparkling or chiffon in-stock styles at Dessy. The bright blue sea, and neutral sand makes an excellent background for vibrant colors, so definitely consider using vibrant colors in your beach wedding! Azazie has a huge selection of colors, styles and affordable dresses, so I feel confident in saying you’ll find the right color, silhouette, and fabric for your wedding. 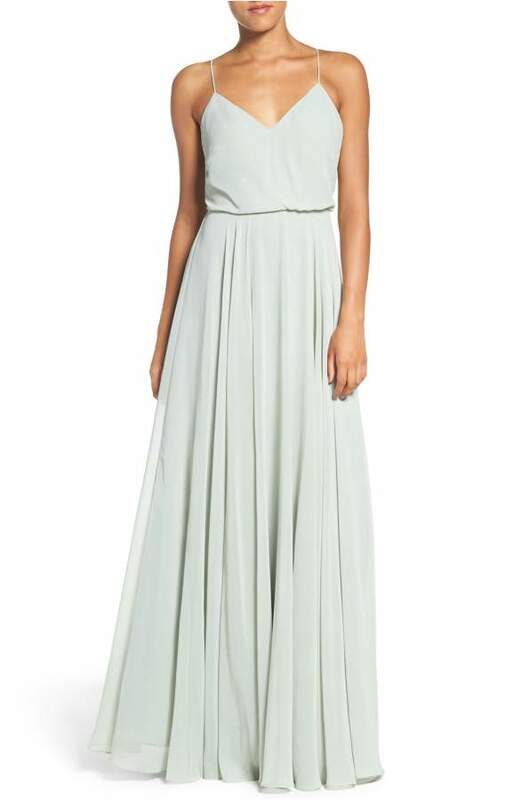 Also check out the in-stock and special order bridesmaid dresses at Dessy. If you have a specific color scheme in mind for your beach wedding, be sure to check out all of our bridesmaid dresses by color. Coral, light blue, navy blue, and neutral are always great colors for beach weddings! 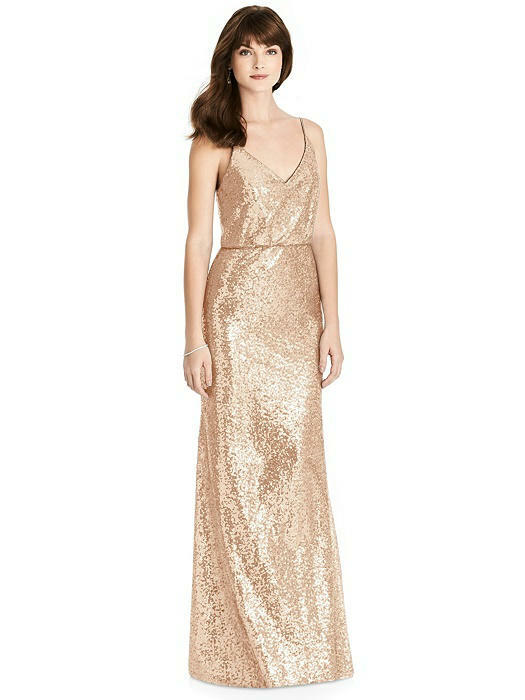 When traveling for a beach wedding, you’ll want a gown that packs well, and embodies the beachy vibe. Satin, and other formal fabrics, will wilt in hot tropical weather, cotton can be tricky to keep crisp and neat, so stick with highly-packable fabric like a light chiffon, or dressy maracaine jersey. Jersey dresses like the Dessy Twist Wrap Dress or Two Birds Convertible styles are a great choice! This style of beach wedding, is near and dear to my heart, because it was the intended style of my own wedding, and is a popular look in New England, where I’m from! You’ll also see this look up and down the shores of the East Coast, or anywhere were a classic preppy style is favored! To get this preppy casual look you might want to dress all your ladies in dresses from one of these preppy spots: Lilly Pulitzer, Sail to Sable (for a casual style!) All for Color, Jude Connally, Red Dress Boutique, J.Crew or Eliza J. 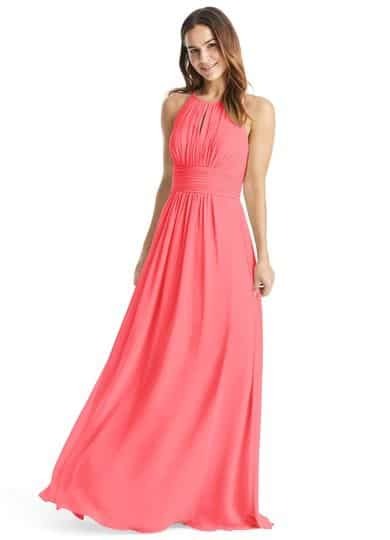 If you want a full length style also check out bridesmaid dresses by Camilyn Beth. Also try Coren Moore or Lula Kate, who customize dresses and offer amazing fabrics and colors! 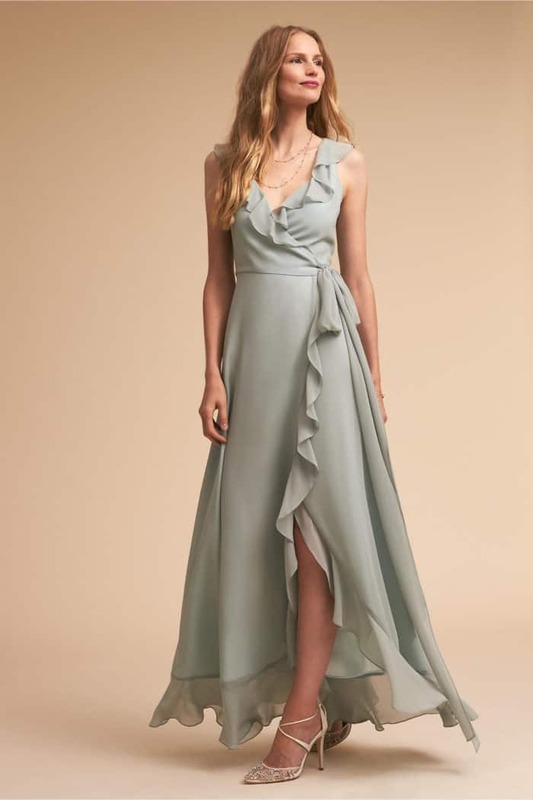 You can also find affordable bridesmaid dresses in nearly any color from Azazie – lots of perfectly preppy beach colors and styles! The Valli Shift Dress. For a preppy casual beach wedding, you might dress your wedding party in Lilly Pulitzer dresses! 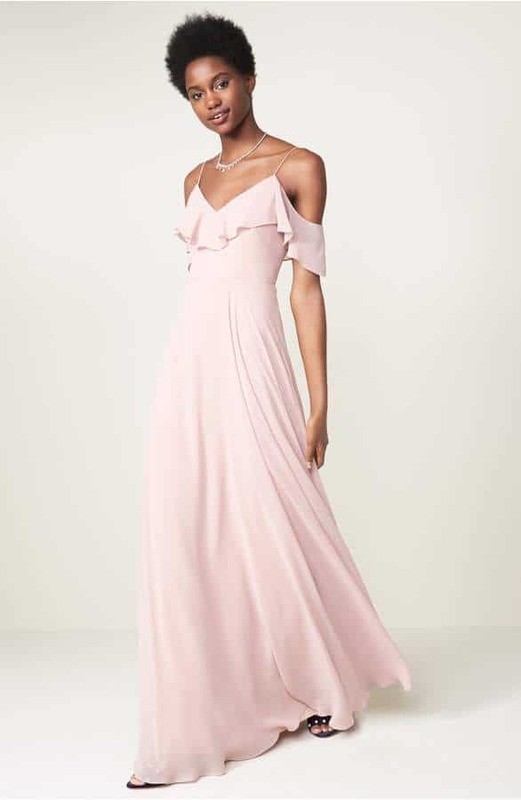 Lastly, if you are hoping to keep the bridesmaid dresses to a modest price-point, here are some great brands and places to shop: Lulus, ASOS, Azazie , Forever 21 has some great dresses! Shopping sources use affiliate commission links.